The Venice Recovery Center was founded by a group of people that saw a need for a social-model non-profit to provide a facility for community groups. VRC now houses self-help groups, referral programs and community outreach. Run by a board and committee of Volunteers, VRC serves over 3000 individual people a month. 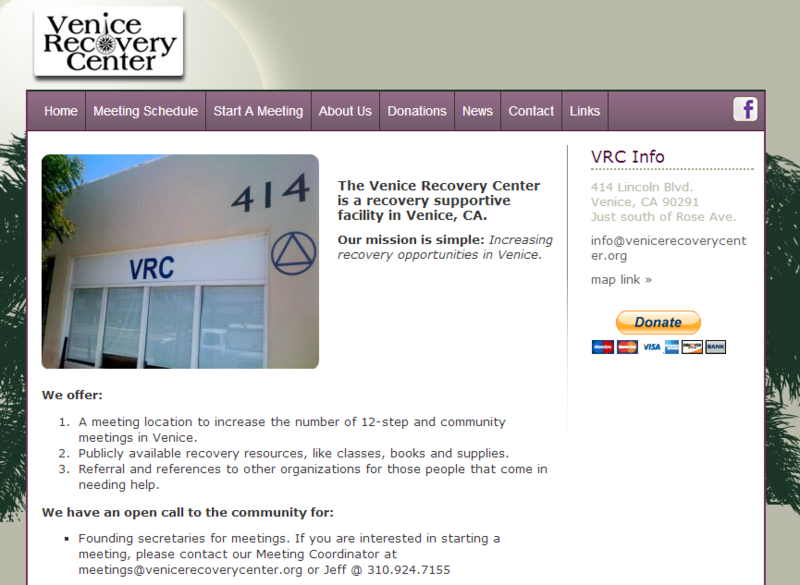 VRC is also the home of the Sober Living Network, who houses their offices in the facility. Quadshot built their website and provided network, infrastructure, communications and training services.